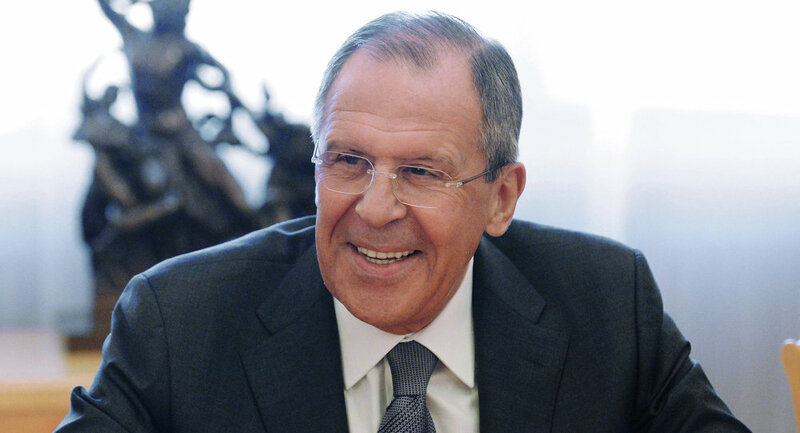 Russian Foreign Minister Sergei Lavrov will give a live interview to Radio Sputnik, “Ekho Moskvy” and “Govorit Moskva” radio stations on April 22 at 12:00 p.m. local time (9:00 a.m. GMT). On April 22 at 12 p.m. – 2 p.m. Moscow time Radio Sputnik, “Ekho Moskvy” and “Govorit Moskva” will conduct a live interview with the country's top diplomat. What would you #AskLavrov on April 22? When do you think EU-US sanctions on Russia will be lifted? How dangerous is the West’s anti-Russian propaganda and does Russia plan to counteract it? Would you call China's World Bank an opportunity or a threat? The interview will be hosted by Margarita Simonyan, Alexei Venediktov and Sergei Dorenko. The head of the Russian foreign department will answer questions on major issues of international relations and foreign policy. If you want your question to be answered during our live broadcast, send it to us via Twitter with the hashtag #AskLavrov. This is the first time Sergei Lavrov is set to hold a radio Q&A session answering questions from people all over the world. Traditionally, the Russian foreign policy chief gives interviews to mass media and holds an annual end-of-year press conference with the last one taking place on January 21 in Moscow. Answering questions from reporters for over two hours, the country's top diplomat spoke about the situations in Ukraine, Syria and Russia's relations with the West.